We believe sports change lives. We’ve seen this take shape in many ways over the past 15 years at TGA. From the little self-esteem boost that comes along with the first time a child nails a tough skill, to the camaraderie that develops amongst teammates who turn into lifelong friends. There are so many amazing benefits that we get from playing sports, recreationally or competitively. 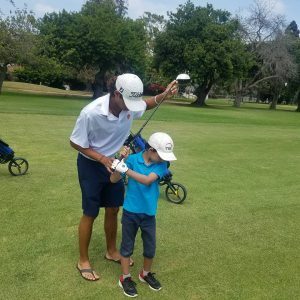 We recently caught up with Brandon Bueno, one of TGA’s first students back in 2003, who is still playing the sport he fell in love with as a child, now as a member of a Division-1 college team. 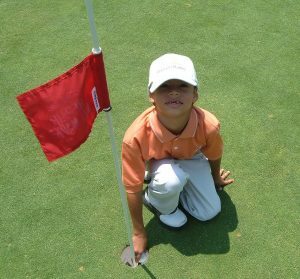 His father Mauricio introduced him to golf at a young age and recalls, “it was very clear to me that he had a passion for the game and needed to have a structured, friendly and instructional environment where he could learn all the aspects of golf as well as to compete with peers of his age.” Mauricio found that TGA provided the perfect outlet to channel his young son’s passion and start developing his skills and knowledge about the game. His father adds that he has also witnessed “tremendous positive character development that had its roots not only at home but at the TGA program” and credits playing sports with helping Brandon develop excellent social skills and confidence along with many lifelong friendships. We are very proud of everything Brandon has accomplished thus far and we see a very bright future ahead for him, both on and off the course. His story is just one example of how sports can change lives. 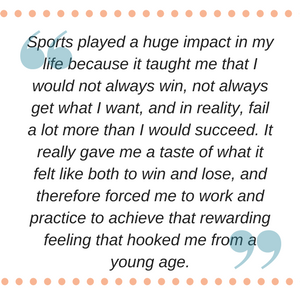 We’d love to hear your family’s story about how sports have had a positive impact on your lives. Reach out to us at tgahuddle@playtga.com with your story.